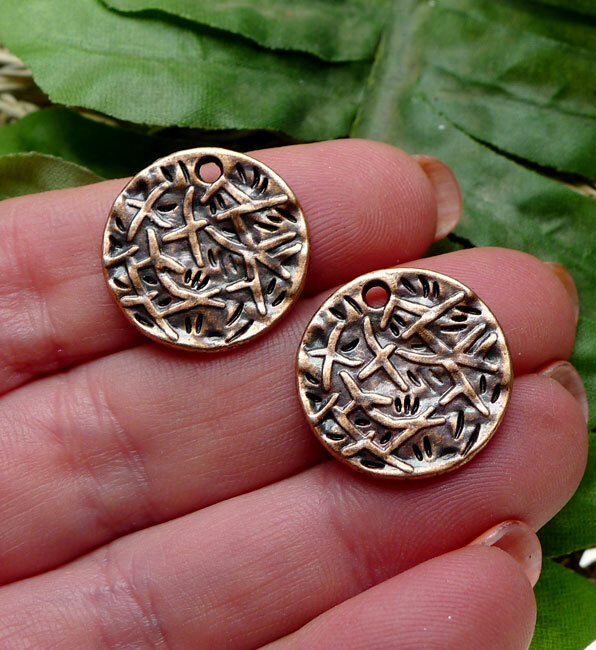 Round Coin Charms with Pattern. 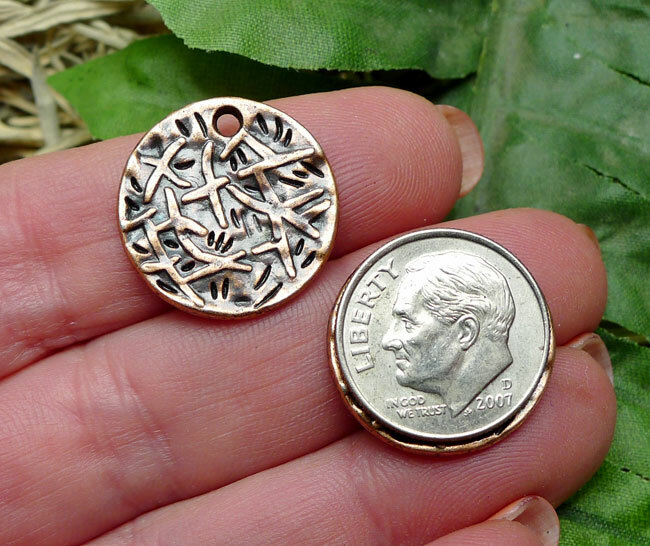 These double-sided coin charms measure approximately 19mm in diameter. Zinc metal alloy with antique copper finish for jewelry making, scrapbooking or other crafting needs. Lead and nickel-free per manufacturer. Sold by piece.